So, on to today's prompt - Freestyle! 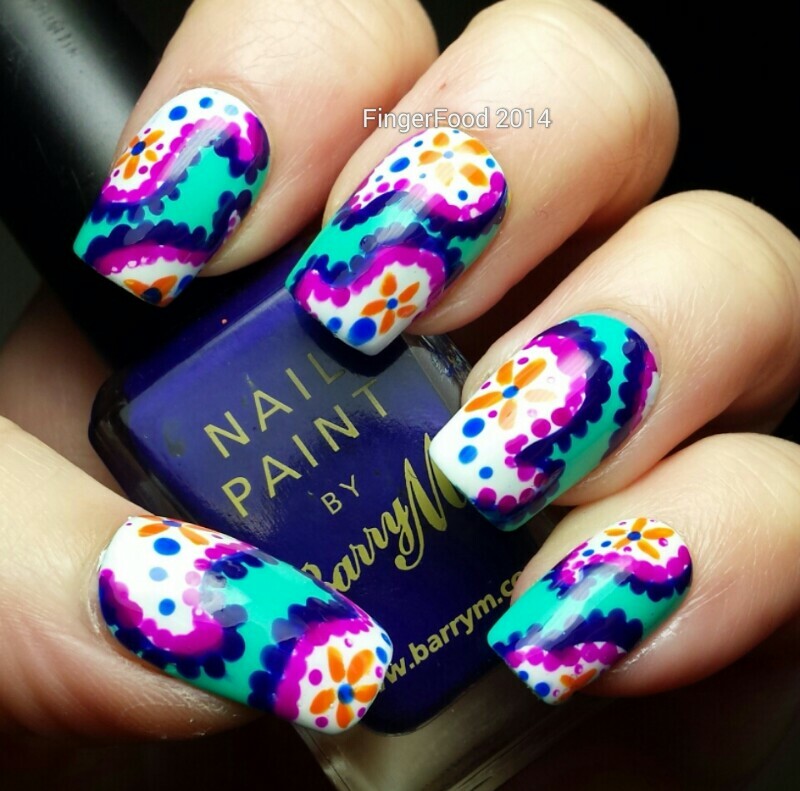 I fancied a paisley so picked out a set of my favourite Barry M colours and got to work! The base is two coats of Greenberry. Once that was dry I painted in the paisley shapes in white and then dotted the border of each shape with Indigo and an inner border with Fuchsia. I then added in some little flowers with Tangerine and Cobalt Blue before finishing with Seche Vite. 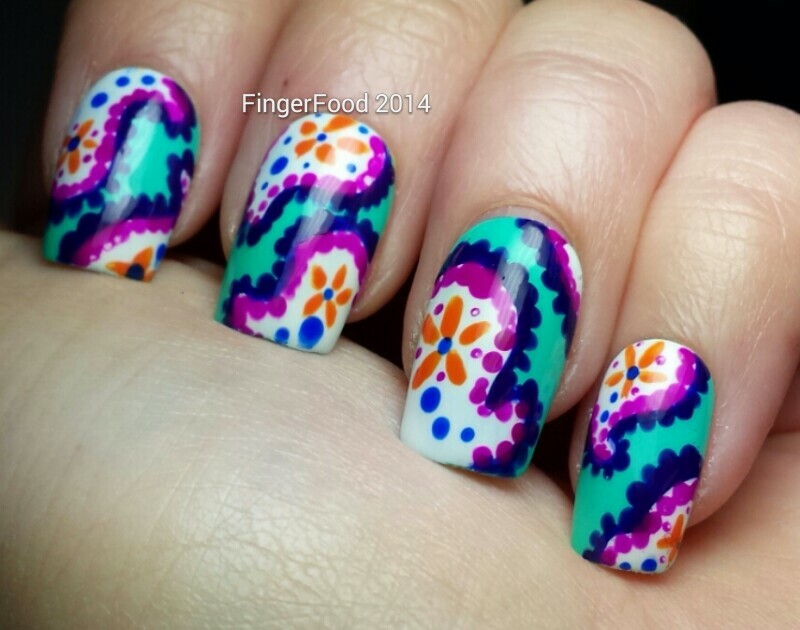 Be sure to check out all the other fab freestyle manis - there are some great designs on show this week! Looks great :) I really love the colour combo. wow this design looks soo bright and lovely! 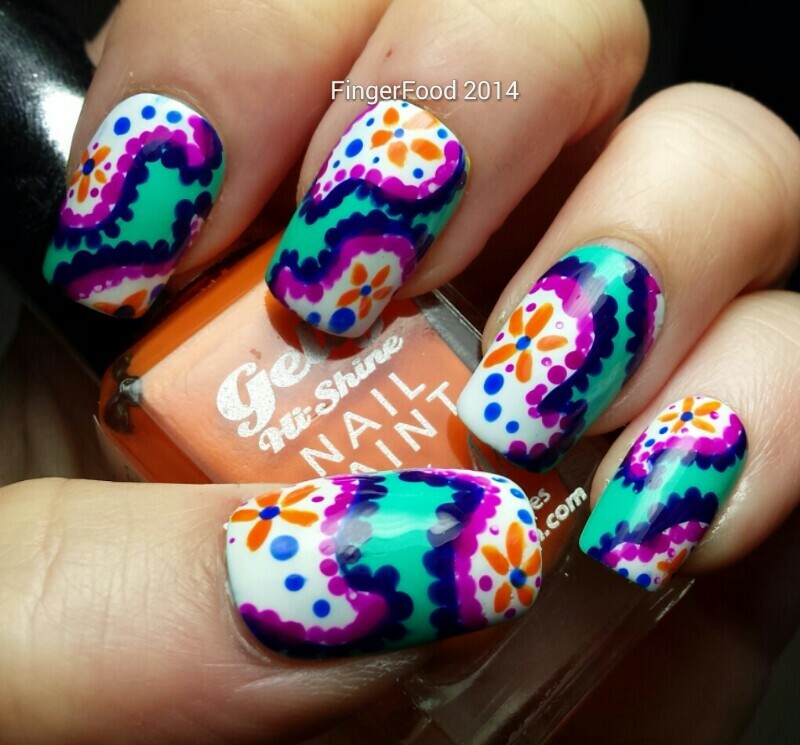 This mani is simply amazing! I love everything about it. 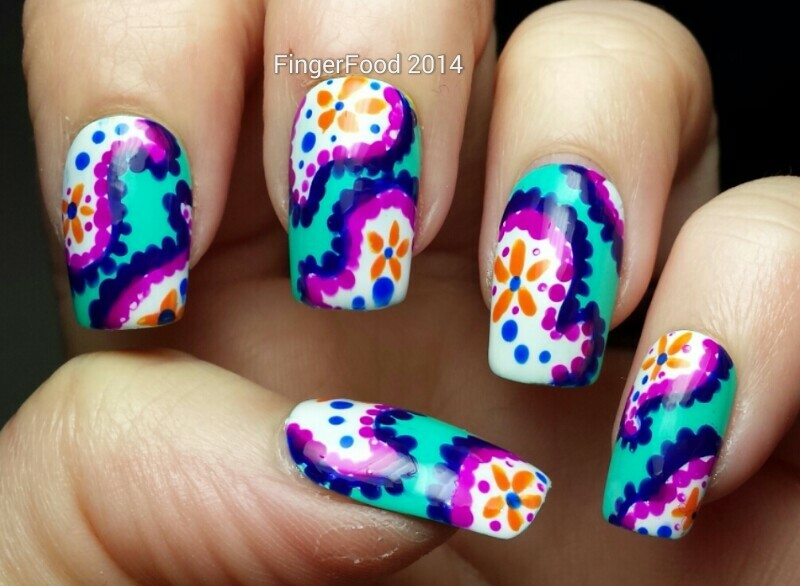 these are so amazingly bright! i bet they caught everyone's eye, theyre amaazing! I love the idea to make the paisley edges out of dots rather than fine lacework - almost looks achievable! Your color choices are spot-on as always. These are gorgeous! I hope you're feeling better. And I look forward to your DD posts!